As a self-described 'consummate fan' of the Hard Rock genre, I spent much of formative years partaking in a haphazardly-chosen combination of Classic and current Hard Rock and Heavy Metal. Not surprisingly, my most intense flirtations were focused (temporarily, at least) on the Birmingham, Alabama-born quintet Brother Cane. 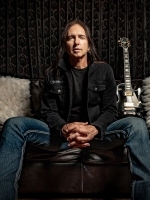 Led by lead vocalist/guitarist Damon Johnson, the group issued their self-titled debut in 1993, with the singles “Got No Shame” and “Hard Act To Follow” propelling it to the top fifteen of the Billboard Heatseekers. 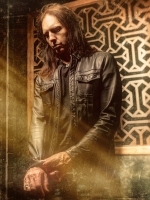 Stints with Alice Cooper, Damn Yankees and Black Star Riders would materialize soon after their untimely demise, ultimately leading to Johnson embarking upon a solo career. Now, with the release of Memoirs Of An Uprising (2018), his latest--and quite possibly greatest--efforts yet, is guaranteed to return him to the charts and airwaves. 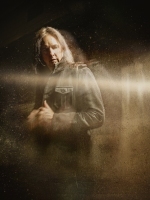 Todd: What prompted you to step down from Black Star Riders? While I was initially surprised to 'discover' you becoming a member of the group without being their lead vocalist, I was under the impression that all was well. 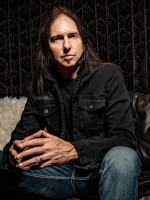 Todd: The group had experienced multiple line-up changes prior to your departure (most notably bassist Marco Mendoza and drummer Jimmy DeGrasso). Was your decision to leave in part inspired by like-minded ideology? 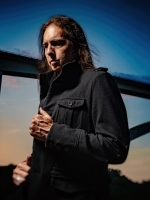 Todd: What inspired the title Memoirs Of An Uprising? Upon first hearing it, I immediately imagined a group of slaves rebelling against their master amid the Civil War. Obviously that's not the imagery you intended to create. Todd: Taking that into consideration, is Memoirs Of An Uprising is a conceptual record? It certainly tells a story. Todd: How did the first single “Shivering Shivering” come together? While there's a definitely many colorful pieces on Memoirs Of An Uprising, “Shivering Shivering” immediately stood out as the most noteworthy track. Todd: Am I correct in assuming you'll be touring as much as humanly possible in support of Memoirs Of An Uprising? With your newly modified touring format, you should be able to reach key markets with relative ease. Todd: At this point, do you have any idea what type of set list you'll be using? There is a lot of ground to cover. Todd: At what point did you realize Brother Cane was coming to an end? Was there a clear, defining moment where it became evident or was it a subtle series of changes that highlighted the inevitability of it 'wrapping up'? Todd: How did you become involved with Damn Yankees? How close did the resulting recordings (i.e. the still unreleased Bravo) come to seeing the light of day? It would have been interesting to hear the end results of that. Todd: In retrospect, how do you view your time with Slave To The System? Will there ever be a sophomore release? Considering the schedules of all parties involved, I would imagine that would prove extremely difficult.